As told by Rosoboronexport, more than 30 official delegations and representatives of companies from African countries visited the stand of JSC Rosoboronexport (part of the Rostech State Corporation) during the Shield Africa 2017 police and gendarmerie armaments and special equipment exhibition, held in the city of Abidjan, Cote d’Ivoire on January 24-26, 2017. Exhibition visitors representing armed forces, police and gendarmerie of Cote d’Ivoire, Angola, Burkina Faso, Ghana, Cameroon, Kenya, Mali, Mozambique, Niger, Rwanda, Sudan, Tanzania and other African countries were particularly interested in the Russian border protection systems, special operations equipment and dual-purpose vehicles and helicopters used both in law enforcement and emergency assistance to the civilian population. Besides, African countries have traditionally shown great interest in Russian armaments and equipment designed to fight terrorists, pirates, drug trafficking, illegal fishing, organized crime and riots as well those used to conduct peacekeeping operations, as African countries are getting increasingly involved in regional and international peacekeeping missions. 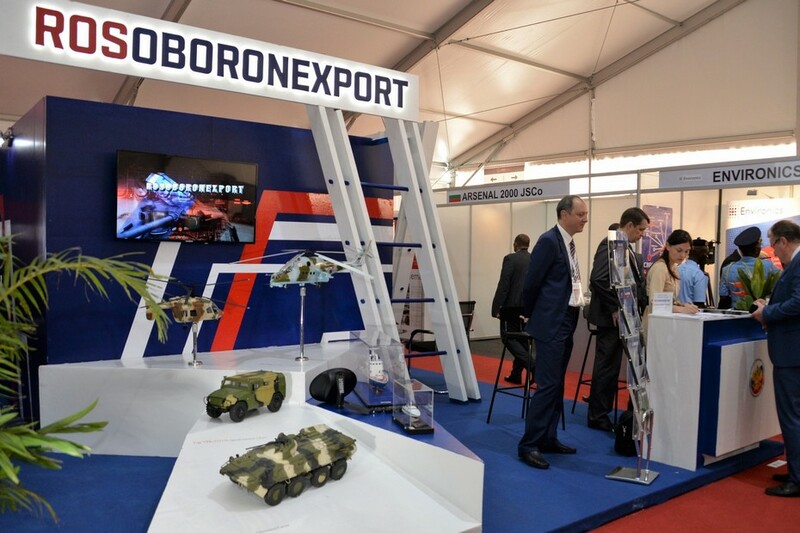 “Rosoboronexport has for the first time held its display at this exhibition as it reckons on the progressive development of military-technical relations with Cote d’Ivoire and other regional countries. For decades, our country has been actively assisting African countries in the establishment and development of their national armed forces. Today this experience, combined with our partners’ confidence in high efficiency of Russian armaments and the need for a widespread stepping up of counter-terrorist efforts, is opening up new opportunities for the increased supply of Russian defense products to the continent”, – said Deputy Head of Marketing Department Vadim Startsev, who led the Rosoboronexport delegation. Despite stiff competition from foreign exporters, Russia is ready for the implementation of various, including the innovative ones, forms of defense and security cooperation in Africa, up to the joint development and production of high-tech military equipment and security system solutions for the third countries. The company is actively developing bilateral ties to promote a comprehensive security system to be utilized in large administrative areas, critical facilities and state borders. During the Counter-Terrorism and Law Enforcement presentation held on January 25, 2017, experts of the Rosoboronexport company briefed the exhibition participants on the latest Russian concept of an integral customer-tailored security system designed to identify the sources of terrorist threats and illegal acts, conduct counterterrorist operations, ensure law and order and protect critical facilities. The concept covers over 200 types of armaments, special technical assets, automated control and communications assets, alarm systems and a facility, perimeter and long boundary protection system. Presentation visitors commended the broad opportunities offered by the project based on the Russian-built counter-terrorism systems and assets.